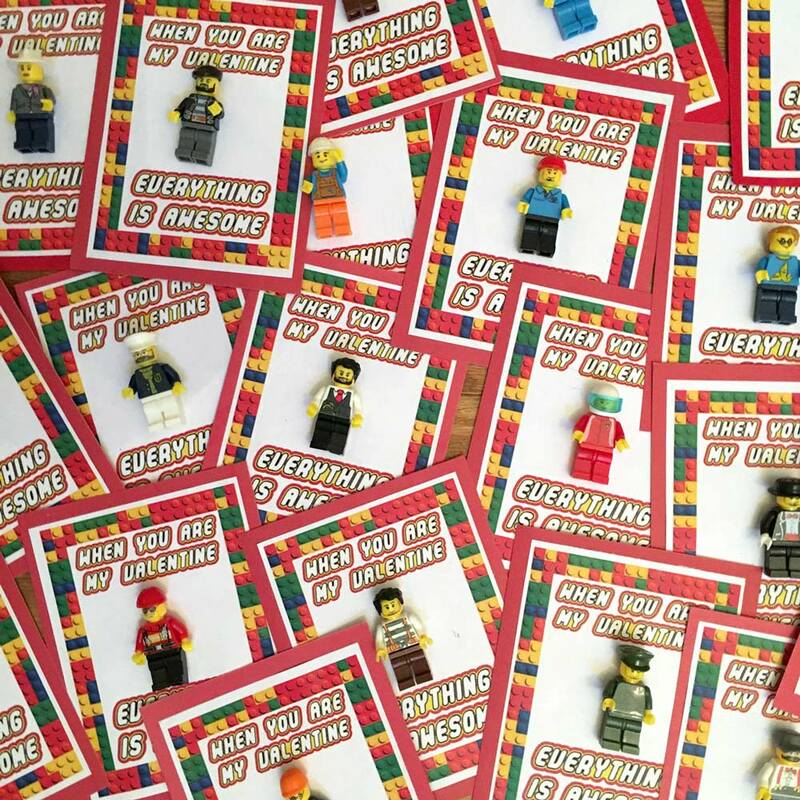 If you would like your own high resolution printable PDF, sign up below to get it by email. 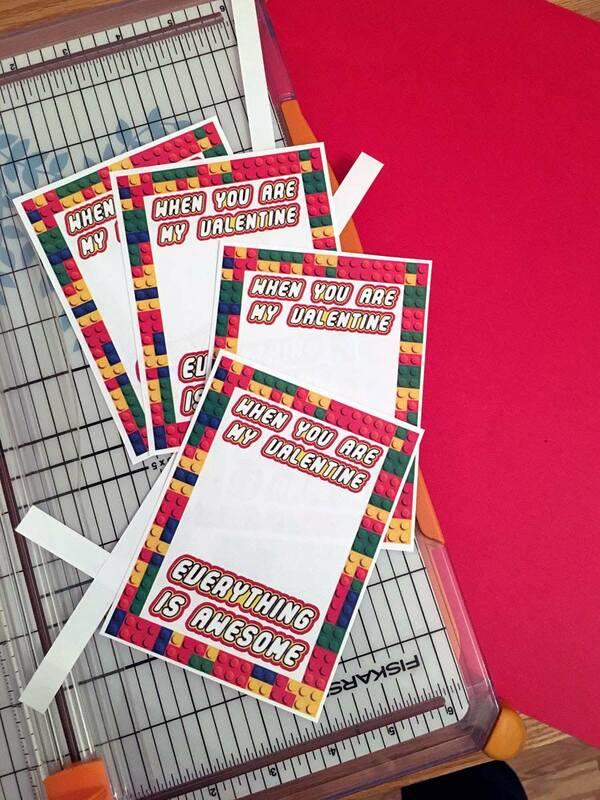 To construct the card itself, I just cut the 4 printables apart with my paper cutter and then cut out 4 rectangles of red cardstock just slightly larger than the paper. 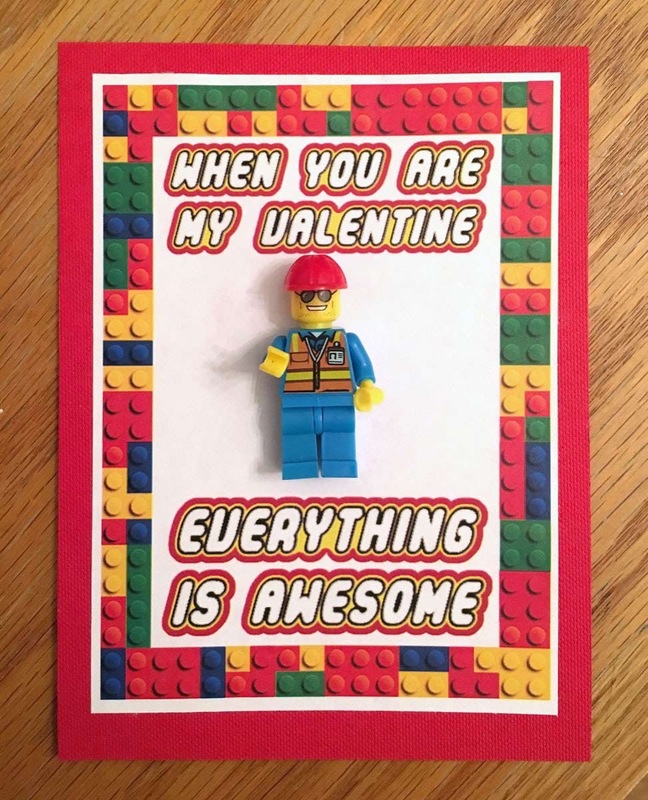 Next I used double stick foam to attach the minifigures to the card. 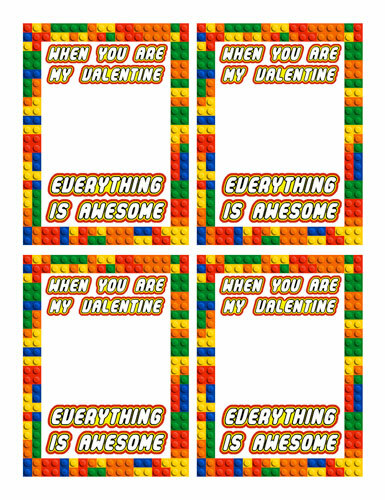 I think these are pretty darn cute.. how they came together. 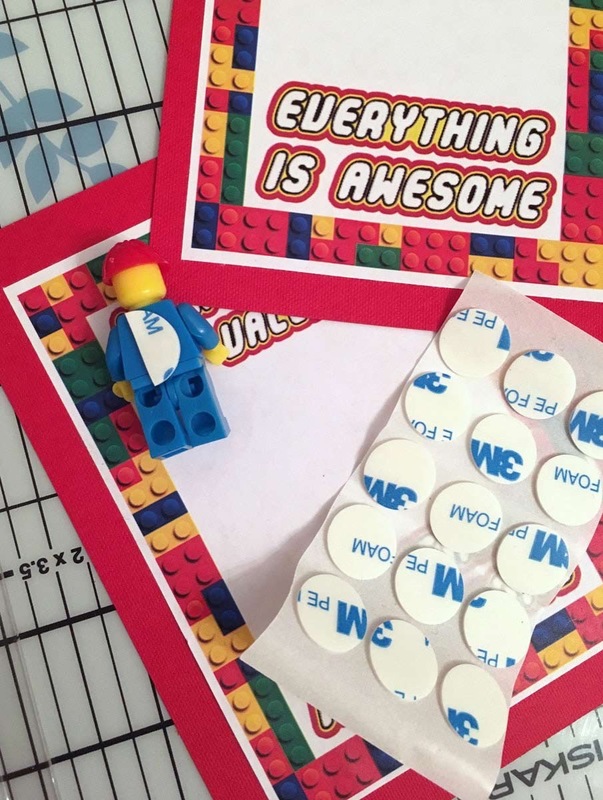 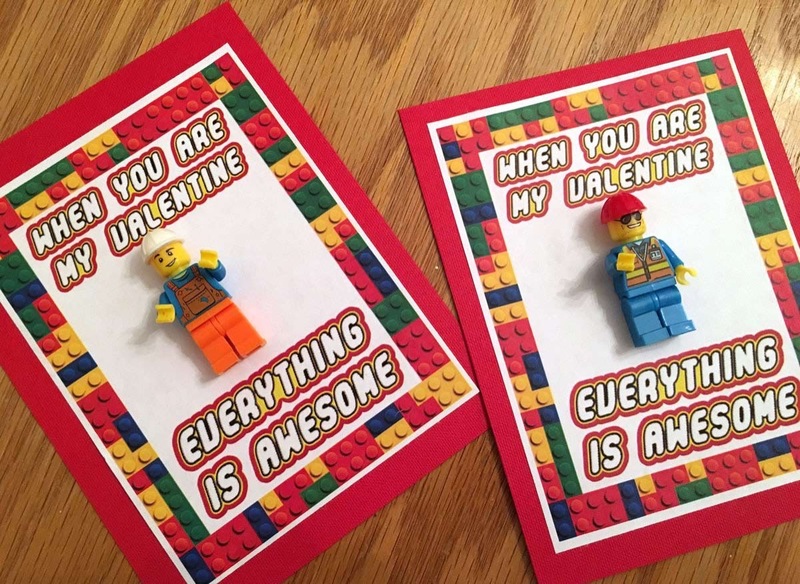 I guess you could say EVERYTHING is AWESOME about our Valentines this year!